Yesterday, I gave my friend David a ride back home. I like playing chauffeur, and our intelligent conversations even more. He's has been telling me about MasterChef, a popular show on Fox, and how I should audition there. He's planted a seed, maybe more than one so stay tuned for the news. For now, the car ride, prompted me to, once again, challenge myself. The constraint this time was no food shopping, just open the pantry and go with what I found there. I did. Here's what I came up with for my fan club for last nights dinner. Things were ready in about 45 minutes. Typically this Ligurian pasta is used in soups. Slightly reminiscent of tubettini, it reminded me of an old classic that we'd make in Italy . It's harder pasta to find. 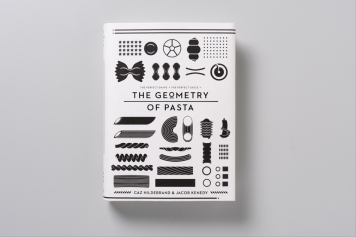 Even one of my favorite books, the Geometry of Pasta, carries no mention of it . Happily, my friend's at the nearby Tarry Market in Port Chester, Westchester's rendition of NYC food mecca Eatly, imported some. 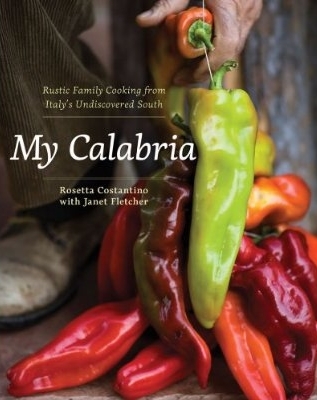 Messrs, Joe Bastianich and Mario Batali, thanks for keeping the food boredom at bay. In two stages, cook the peas at low heat with a lid on , then , over higher heat, and uncovered finish cooking the baby peas until ready. In parallel, cooking the pasta in well salted water. Retain a cup of starchy pasta water. 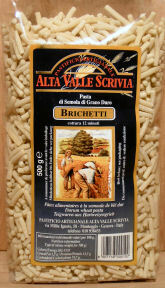 Access to pasta water will be possible as the Brichetti pasta are cooked in parallel. As always, ensure that the pasta remains al dente . Mix pasta and peas in your cooking pan. Add a few ladles of starchy pasta water to flavor and keep in some moisture. Top with Romano cheese and don't be shy. For side dishes, I made two salads. A fancier cucumber salad, and simple beet salad (not shown). The intent was to stay on the lighter side , and satisfy my many vegetarian friends. The picture says everything here. Geometrically, I played with the ideas of oblong, flat shapes, so both the cucumbers and dates were cut to reflect that. A good salad, especially one that needs to cleanse the palate, needs to have a certain kick. So citrusy lime was my acid, tempered with some sweet Japanese mirin. The EVOO did the rest. Vinaigrette : emulsify EVOO, juice of 1 1/2 limes, 1-2 tablespoons of Mirin, S/P.